Let’s talk about traveling with a disability. This series of articles on traveling with a disability will be linked in an index for easy reading/retrieval. Our hope is it might help you as you travel or help others travel well and safely. That is our goal at Good Neighbor Insurance! Traveling with a disability may seem like more work than fun. Of course, fun is just one reason that people choose to travel. Most travelers realize that any kind of travel includes challenges to overcome, inconvenience, and that it can be risky or costly to your health. Our hope is that this series will help prepare you for travel overseas, and to think about travel so you can help other be prepared before they go. 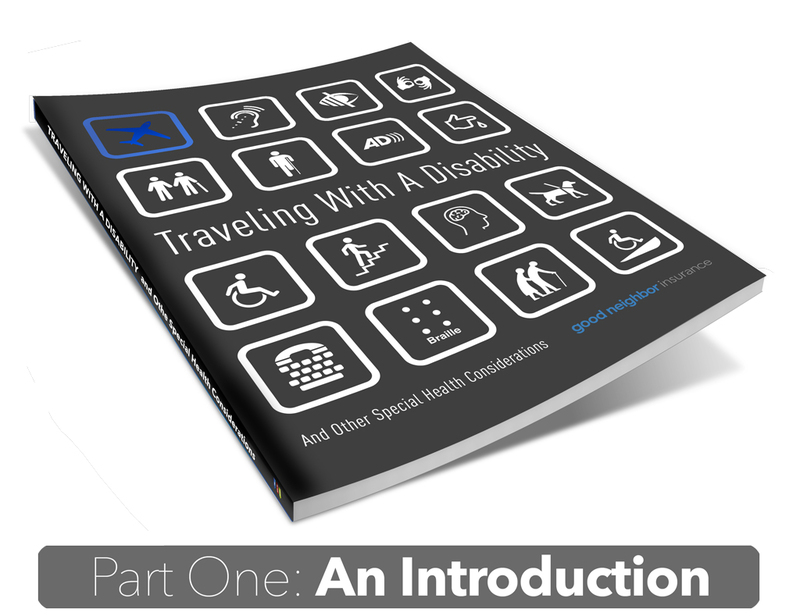 Whether you yourself have a disability, or you’re traveling with someone who does, or helping someone with their travel planning, this series will help you identify (and avoid) problems before encountering them overseas! And while travel can offer up unseen challenges, this is also an exciting time for people with access issues – whether due to disability or age – as the world is becoming more aware of the potential of travelers with disabilities and what they can do, whether you are volunteering, seeing the great art museums or Europe, or just want to travel the globe. We understand that your situation may fall under more than one of these categories, and that everyone’s ability and “fitness” for travel is different. This series will offer sound advice, but always consult your doctor, as well as family/loved ones before making travel plans. Our hope is that this series might be the basis for a future travel guide for disabled travelers, traveling with disabilities or special health considerations. 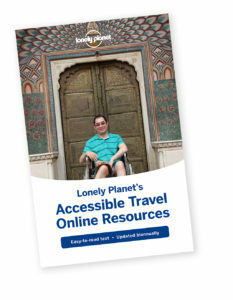 Don’t hesitate to visit forums (Lonely Planet’s Thorn Tree is a great place to start), blogs and Web sites on accessible travel (see below) in order to learn from other disabled persons. Regardless of fitness and ability, we always recommend travel with a friend/helper/companion. Traveling alone is its own challenge regardless of how independent you are. We will try to cover some of the additional risks and issues of solo travel in a future post. 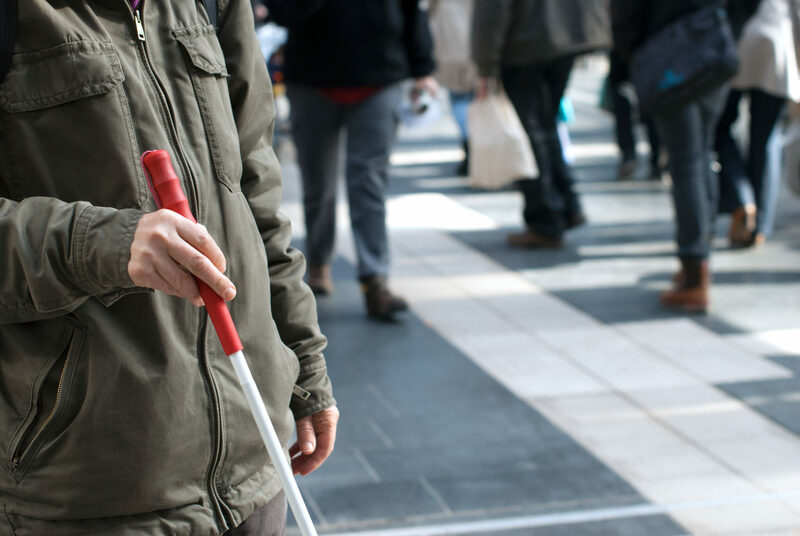 If you have some form of disability, whether due to age/mobility, or some other health or physical consideration, we always recommend that you consider traveling with a companion who can provide assistance. 1 billion people have a disability. Cultural differences and ignorance, lack of handicap access, and potential equipment loss or damage are just some of the additional problems that often arise outside America. Having a well thought out travel plan will help you avoid and/or deal with the challenges that travel with a disability will present. Outside the USA, attitudes towards those with disabilities vary greatly. Some cultures and countries still “hide” those with disabilities especially visible or cognitive disabilities behind closed doors. The physical condition of streets, ramps (or lack of them) and access to buildings, airplanes, restrooms, and more can be poor to non-existent. 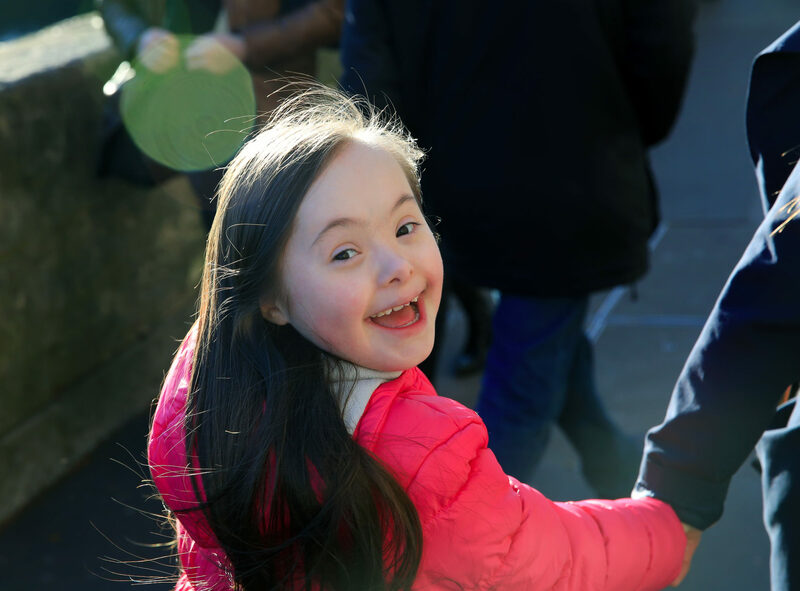 While America has laws regarding providing access to those with disabilities, other countries aren’t guaranteed to do so, and most often do not depending on how developed the nation is you intend to travel to. Even in Europe, access can vary greatly depending on location and population. Discrimination is common practice in some locales. 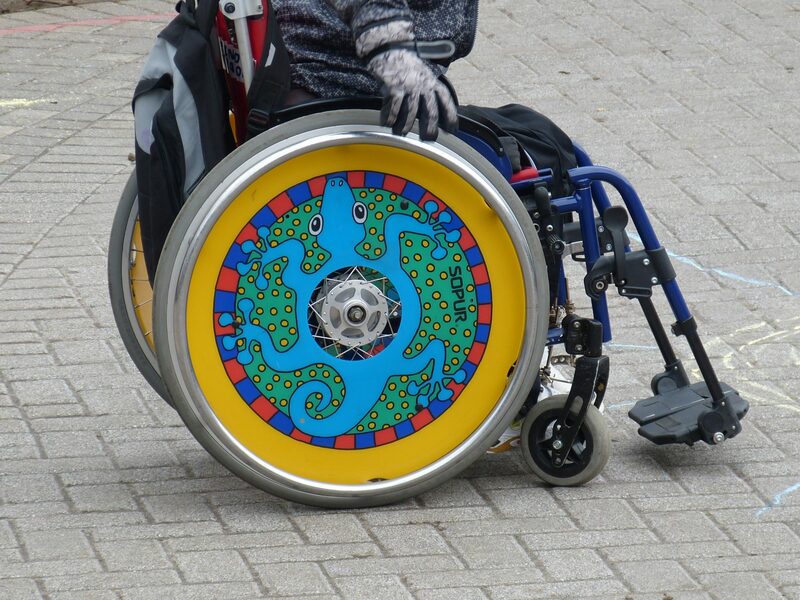 The people and culture you visit may look down on you, or be embarrassed talking to someone with a disability. People might be overprotective of you (not allowing you to do things for yourself that you are accustomed to doing for yourself and you may not appreciate their insistence on helping. This is especially true of those traveling solo.) They may refuse to serve you. American flights are required to allow your wheelchair, service animal, etc. on board, but that rule does not apply once you leave the USA. Older churches and buildings are usually not going to be accessible. Sometimes due to older congregants you may find handmade ramps placed over steps. In less developed countries, buildings are not going to be accessible and sidewalks can be dangerous due to street salespeople, uneven and broken sidewalks, open sewers, and motorcycles driving on the sidewalks. Airplanes may not connect to a terminal, requiring you to walk up a flight of stairs to board. We encourage you to research your destination beforehand, and learn everything you can about its accessibility, as well as any disability laws. International travel can be risky for anyone, but even more so if you have medications or equipment that could be stolen or broken. (Read our article on avoiding overseas theft here: https://www.gninsurance.com/blog/news-and-helpful-links/how-to-avoid-overseas-theft/) If medications are lost, it can be time-consuming and expensive to obtain new medication again overseas! Newer or specialized drugs may not even be accessible or purchasable in that specific country. Good travel health insurance like the GeoBlue Voyager Choice plan can be crucial in emergencies like this. It is important that the plan and carrier understands your condition and health before purchase to ensure the best protection possible. Your travel insurance company will be able to recommend a good local hospital or doctor if needed. If you know your destination, you can call the number on the back of your medical ID (insurance) card before you even arrive, to know where the nearest pharmacy and hospital/specialist(s) are. This way you’ll already know about where you can receive medical attention or pick up a refill prescription. Also, learn the emergency 9-1-1 number for the area you are in. For example, in the USA it is 9-1-1, but in Europe it is 112 and in the UK 999. This will again save time when needing to call emergency services.The U.S. State Department has a list worldwide based on country at https://travel.state.gov/content/dam/students-abroad/pdfs/911_ABROAD.pdf but please check and verify if it is correct and then program it into your phone. Equipment battery life is another issue. Electricity isn’t always guaranteed overseas, and sometimes the shapes/sizes of outlets are much different as well as voltage/amperage. Brown-outs may be common, and surges can damage equipment vital to your health or mobility. The nearest store might be a long way away, and even then might not carry a replacement battery or charger. Get your equipment batteries – wheelchairs, hearing aids, etc. – checked before you go, and carry a list with you of nearby repair shops for each place you’re traveling to. Take additional batteries for back up when at all feasible. Some equipment damage or loss can also be covered under a good travel insurance plan, note however that such coverage is often limited in terms of dollar maximums and allowed coverage so call us for help before selecting any international travel insurance plan. The U.S Department of Transportation created “The Air Carrier Access Act” which prohibits discrimination on the basis of disability in air travel. This rule applies to all flights of U.S. airlines, and for flights to-or-from the United States by foreign airlines. 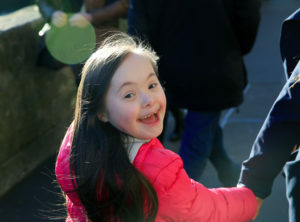 A summary is available at https://www.transportation.gov/airconsumer/passengers-disabilities. The complete rules can be found at https://www.transportation.gov/airconsumer/disability. 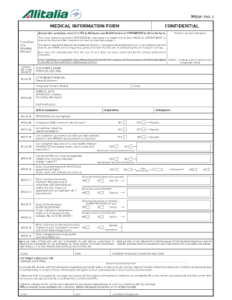 There is also a long list of airlines and their standards which are linked from this page. European and non-European air carriers are subject to different regulations depending on the final destination of the flight. See more at http://www.reducedmobility.eu/people-with-reduced-mobility-travel-rights.html and http://www.airpassengerrights.eu/en/reduced-mobility.html. Many airlines have their own published guidelines and rules regarding traveling with a disability. additional cost of accommodations that are accessible, accessible transportation and possible interpreters/local guides to help make travel easier. Even if you find an accessible hotel, it still has to be located in an area with accessible restaurants, activities and transportation. According to MIUSA.org, some providers are willing to pay for all or a portion of these costs because they recognize these as significant barriers to your ability to travel normally that are not present for non-disabled travelers. Advocate for yourself and negotiate what you need early on in the process. Always confirm reservations and make sure they understand again your needs when you speak with them to confirm. One thing you’ll want to do, regardless of the type of disability, is to create a short travel letter that you keep on your person at all times along with your travel medical insurance card and passport. It should list your condition(s) as well as any medications you take, and treatment/doctor. (Some airlines may also require you to fill out a simple Medical Information Form (MEDIF) that can be found on their website.) If traveling to a country where English is limited, ask a local person to write the same information in the local language on the backside of your travel letter. Lonely Planet is also putting together a multi-language phrasebook for traveling with a disability, which will be available as a free PDF. 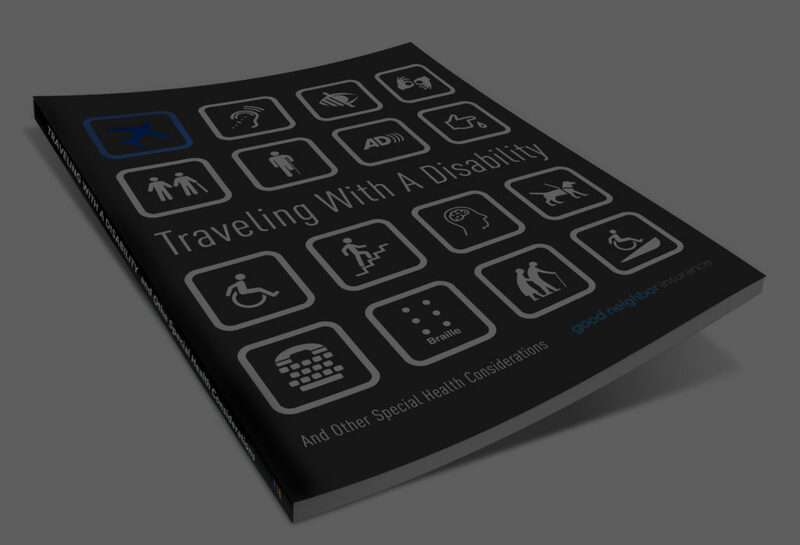 Language is often a barrier for any traveler, and it’s unlikely that you’ll find the specialized language disabled travelers might need in any regular phrasebook, so they’re hoping that this publication will make a real difference to travelers with a disability traveling overseas. They currently have volunteers to translate approximately 100 words and phrases into the following languages: Japanese, Dutch, Arabic, Farsi, Swahili, French, Portuguese, Bahasa Indonesia, Hebrew, Hindi, Urdu, Spanish, Italian, German, Greek, Danish, Nepali, Serbian, Tagalog, Thai, Vietnamese, Khmer, Chinese, Russian, Burmese, Slovenian and Romanian. They are looking for volunteers to double-check the above translations for quality control. They are also seeking to hear from speakers of other languages that are not in the above list. while not offering to pay contributors, they are giving them full credit and printing their website alongside their name. Please email Martin.Heng@lonelyplanet.com.au if you think you might be able to help. Living with a disability is expensive, how could someone afford to travel the world? This site has a good starting list for creating a travel budget if you have a disability. Always plan ahead, and know exactly what you can afford and what your priorities are when asking questions or purchasing tickets! We at Good Neighbor Insurance are excited to assist you on your journey, whether you’ve been traveling for years, or if this is your first trip! Let us know your experiences with accessible travel so we can in turn share them with others! And again don’t forget travel insurance. Travel insurance for disabilities will be the subject of an article of its own. Each article in this series on Traveling with a Disability will also offer additional unique links and advice to help you travel well and travel safer. Are we missing an important link? Email Moreinfo@gnisurance.com or post a comment below. Overall links belong on this page while specific disability or travel type links will go on future pages. Have questions? Call us at 866-636-9100. Thanks! Disclaimer: We realize that terminology is a touchy subject. We do our best to use the correct wording when talking about disabilities. However we can’t be responsible for the terms used on other sites linked in this series, and specific usage of terms such as handicapped, challenged, wheelchair bound, infirmity, disabled person, and apologize in advance for any offense or inadvertent usage. We also understand that all these terms are used interchangeably overseas without understanding their meaning or implications. The information provided in this series of articles is presented in good faith, as information to be considered and should not be taken as specific advice without consultation by legal and health professionals. Always consult with your doctor, as well as health and legal professionals before you undertake any travel. It’s interesting that some of the biggest problems when traveling with a mobility disability result from insufficient room for a wheelchair or other tool. My mom has been in a wheelchair for a few years and she hasn’t been able to travel how she wants. I’m going to take her on a trip so I’ll have to remember to book transportation options with wheelchair accessibility to ensure we don’t have any issues getting her in and out of vans, etc. You are right. Especially as paths, aisles, rooms, and everything else is much more confined abroad. Don’t forget to consider a FreeWheel which may really help with sand, curbs, etc.! Hopefully the links to other travelers above will inspire her/you! To all: We recommend Jenny’s article and the site in general for good tips (see “travel” tag to quickly scan all the travel blog articles incl. those by Jenny)! I need to clarify the above statement. Traveling with a disability is possible. Whether or not it’s accessible is up for debate (or sometimes simply “absolutely not,” but that doesn’t need to stop you. I love that you recommend keeping insurance papers and your passport on you at all times when traveling with a disabled person. Sometimes local establishments don’t exactly know how to help those in need of transportation services, so it sounds like this makes everyone’s lives easier. I’ll have to keep these tips in mind! Thanks for the help! Travelling with a disability has never been easy. 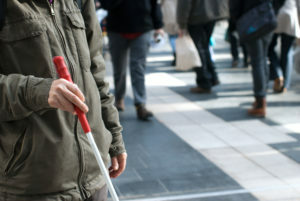 Would be very helpful especially amongst those travellers with disabilities. Thanks for this great post! Travelling with an inability has never been simple. Would be extremely useful particularly among those explorers with in-capacities. A debt of gratitude is in order for this awesome post! Thanks for that tip about being aware of what activities just aren’t wheelchair accessible. I forgot to plan for that! I am going to look through our travel plans now to see what we can still do. This is really very nice information that I was not aware of. Thanks for posting such useful information. I would share this post with my NGO co-workers so that they can spread that information.